Gizmodo just made my day! The awesome thing is that it forces you to drink quickly! Or you mix up some submarines with it. 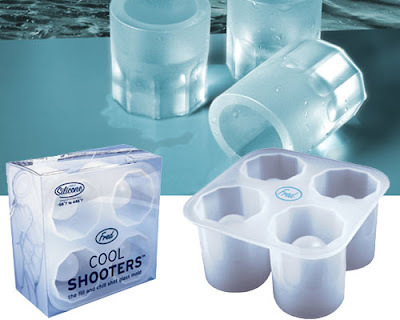 Fill Cool Shooter with water or your favorite juice, freeze, and then pop out four fully-formed frozen shot glasses. A great way to add a little nip to your favorite sip!